Is your college or university using Vine? If you’re not familiar with it, Vine is the six-second video sharing site that was launched in 2012, acquired by Twitter and now has over 40 million users, primarily of the teenage persuasion. Vine is also popular with companies looking to promote their brands to an audience of mobile – savvy users. Everyone from Volkswagen to eBay have been busy creating short and snappy videos to promote their brand. So, considering it’s a pretty popular place for teenagers and marketers the world over, it kind of makes sense for higher education institutions to hop aboard the Vine bandwagon. While some universities and colleges, predominately in the US, have had great success using Vine to promote their school to current and future students, higher education in general has been slow to adapt to it. If your institution is still on the fence about Vine, unsure of the benefits or how to make a six second video count, we’re here to help. 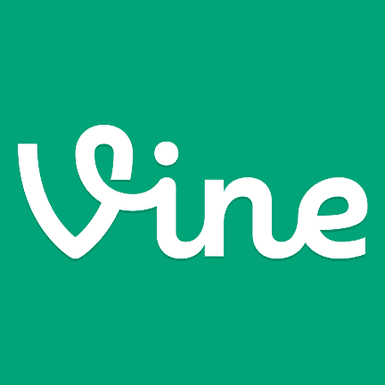 We have put together a quick guide to Vine which includes inspirational ideas from other universities and colleges. Whether you want to show off the beauty of your campus or promote a particular course of study Vine can help you get the message across better than a photo ever can. Videos can be as simple or as complicated as you wish; from a bustling view of the busy quad to a choreographed video showcasing student talent. We recently stumbled across a great marketing campaign from the University of New Hampshire which features future UNH students saying their name, where they’re from and what their major is. This is such a simple idea but is such an effective way to make students feel a part of the university before they ever set foot on campus and give them a feel for what their fellow students are like. Once you have tried and tested what the best way to reach your students is, come up with a unique selling point to help you stand out in their minds. Think about what your university is best known for and work that into the style of your videos. If you’re famous for a beloved mascot or you have a much lauded drama or music program, work this into your videos. If you want to drum up some excitement about graduation or highlight a special speaker, Vines can be a fun way to reach a wider audience and with the right hashtag help you to go viral. Vines are a unique way to give prospective students a sense of what campus life is really like and because of their shareable factor have the potential to reach a wide audience of students and their peers. Whether you’re using Vine to give future students a virtual tour of your campus, telling a story about campus life or encouraging students to share their own college experiences – it’s a social media platform certainly worth investing in.